Want to Go Green in the New Year? Try These Resolutions on for Size! In the wake of the recent American presidential election, all of North America is struggling with re-emerging concerns about the impact of the use of fossil fuels on air quality and global warming. With scientific evidence proving that the theory of climate change is not just a theory, it will fall to each of us to do what we can to safeguard our planet’s precious resources. For many people here in Hamilton and the surrounding areas, this means taking a fresh look at living more sustainably at home and work. 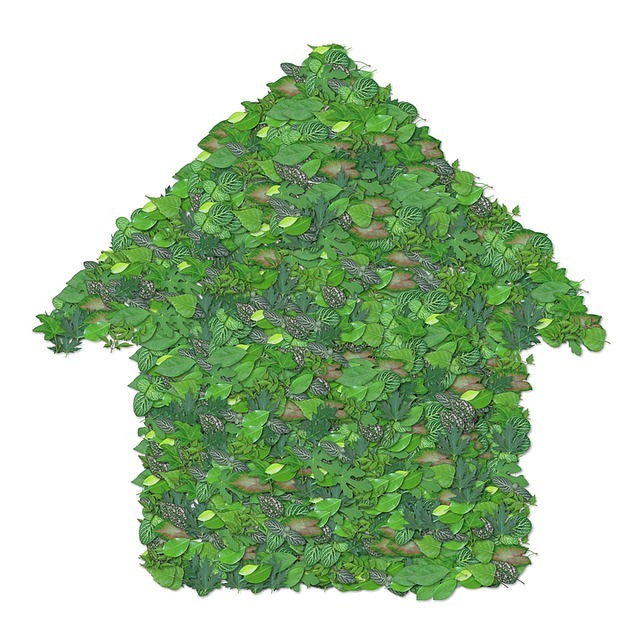 Of course, living sustainably isn’t just about the energy you use to power your HVAC system or keep your lights on. It is a way of life that endeavors to maximize the usefulness of any natural resources you choose to consume. In this post, we tackle New Year’s resolutions a few weeks ahead of schedule and from a distinctly energycentric viewpoint. Our hope is that we can offer you some inspiration for living cleaner and leaner in 2017. The energy available to you in any local geographic area will in part determine how easy or difficult it may be to transition to cleaner, greener energy. If you are lucky enough to have a variety of local energy sources to choose from, here is a list of options in order from cleanest to dirtiest. Wind. Wind energy is currently the leading source of renewable energy worldwide. By tapping into the power of air currents, wind can generate electric power with no emissions. Hydroelectric (water). Water energy currently provides more sustainable energy than any other renewable source. While it is just as clean as wind energy, it isn’t quite as earth-healthy—damming up water sources to produce energy can impact natural ecosystems. Solar. Harnessing the sun’s energy offers one of the most accessible, affordable energy options for homeowners and employers today. New technology offers solar panels that can bring solar energy to you. Geothermal (heat). The Earth itself generates intense heat, especially in areas where active volcanoes reside. While this heat source isn’t as well known as of yet, it is being developed swiftly for general consumption. Natural gas. Perhaps the least harmful of the fossil fuel-based energy options is natural gas. In fact, natural gas is positioned to assist with the ongoing transition being made in some areas and certain industries to ease reliance on coal and oil while rolling out more sustainable energy alternatives. Oil. Oil is currently a lesser source of fossil fuel-based energy, with the vast majority of consumers being in the transportation industry. Coal. The dirtiest and most costly energy option in terms of negative impacts to global warming, climate change, and environmental degradation is coal. Not only does coal burn dirty and release an estimated one-quarter of all environmental emissions in the planet's atmosphere, but it also strips the natural landscape in areas where coal is being actively mined. A huge part of the push to transition from fossil fuels to renewable energy revolves around limiting and eventually removing our reliance on coal for fuel. Why Make the Effort to Choose Sustainable Energy? While it can often feel like we are fighting a losing battle against the impact of global warming and climate change, the truth is that every little effort we make really does make a difference. For instance, it makes a difference to our personal bottom line, since in most cases renewable energy sources are free to access and use once the basic architecture, such as the installation of home solar panels to capture the sun’s energy, is put in place. As we save money we once spent on pricier, dirty energy, we have more to invest into our future and our planet’s future. It also makes a difference in our local community, since the fewer carbon-based emissions we generate, the cleaner our local air will be and the healthier we will all stay. So here, again, we spend less on doctor visits, prescription medications, and health interventions for lung and heart disease, among other medical complications of breathing in toxic emissions. And it makes a difference in our overall lifestyle, because it feels good to live a sustainable, planet-friendly lifestyle. Perhaps we start by choosing cleaner, greener energy, and then we move on to recycling our plastics and reusing or swapping items that would otherwise end up in landfills. We then decide to grow our own organic produce and opt out of using toxic pesticides, which means our water and land get cleaner, and little by little our corner of the planet gets cleaner and greener. Choose Energy Star-certified appliances. Energy Star-certified HVAC systems can save you up to 20 percent on energy use and your monthly utilities bills. Tankless hot water heater. This type of on-demand water heater system kicks in only when you need hot water, so it doesn’t burn energy when not in use. Heat pumps. Electric and geothermal heat pumps offer an efficient, effective, and planet-friendly way to keep your space cool in summer and hot in winter. Well-maintained HVAC systems. HVAC systems that are inspected and maintained at least annually will work at peak efficiency to save money and energy regardless of where they get their fuel from. Programmable thermostat. Finally, simply programming your HVAC thermostat can maximize each penny you spend on heating and cooling costs. If you have any questions, feel free to give us a call at 905-549-4616 or contact us online. We’re glad to help.